What is the difference between good leadership and great leadership? The biggest difference between good and great leadership is self-awareness. Without self-awareness the other four characteristics—Bravery, Kindness, Innovation and Inspiration—are unfocused and can even become harmful. Bravery without self-awareness might look more like recklessness. Kindness without well tempered discipline could be mistaken for just plain old softness. Self-awareness is defined by one who leads with a clear sense of identity, a clear sense of purpose, and a distinct, consistent way of interacting with others. With self-awareness one is able to more easily focus and channel their behavior in the most deliberate and productive ways. 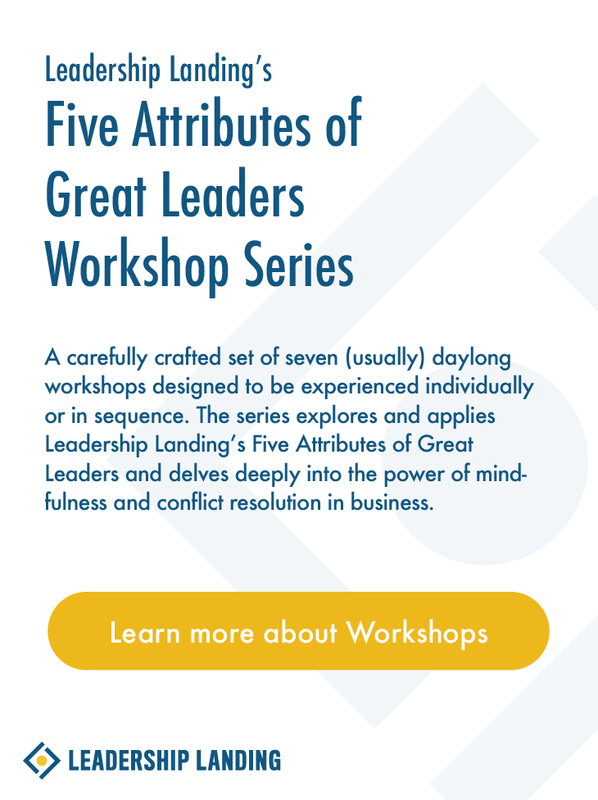 This day-long workshop integrates mindfulness meditation and reflection work designed to support participants to develop true self-awareness in a supportive learning environment.